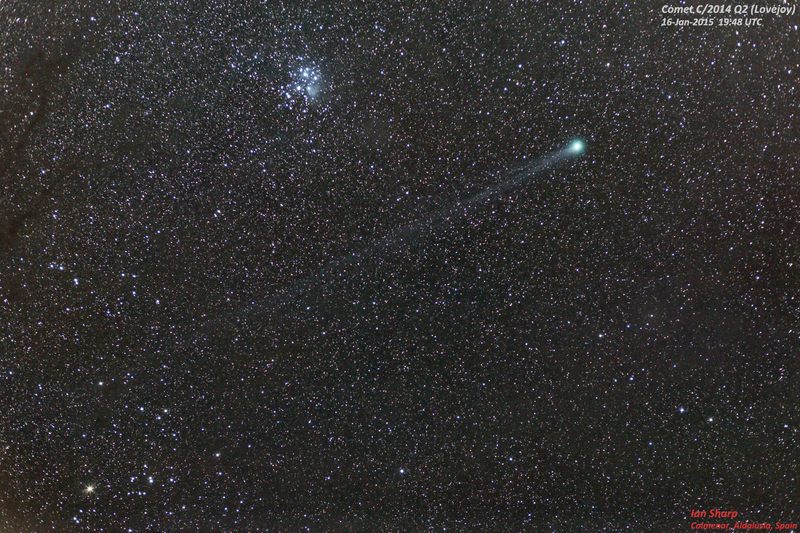 here is Comet Lovejoy in between the Hyades and Pleiades, sporting a 16 degree tail. Also some lovely dark dust lanes in Taurus. Take with Canon 6D, 85mm L lens at f/2.8, 8 x 60 secs at ISO3200.